Is Relentless Media Attack on NHS Justified? The UK's National Health Service has been under a blistering media attack. First, Charles Moore in the Telegraph describes the NHS as the “worst in the Western world” (1). According to him, “the NHS cannot look at the whole patient and meet his/her medical needs”. On Twitter, his editor Tony Gallagher describes the article as “really good”, and he is praised by Douglas Carswell MP. Next, in The Independent on Sunday, Ian Birrill describes the NHS as “a toxic institution”, one where “myopic worship has fostered a culture of complacency that kills patients” (2). Again he has been praised on Twitter by Jane Merrick (political editor of the IoS), Charlotte Leslie MP (MP for BristolNW) and Lord Ashcroft. What is going on? It would appear that at least two of the above have had bad personal experiences of the NHS with care of relatives or themselves. Could that justify such vitriol in the national press? Now might be a good time to clear up a few things. Firstly, the NHS is not the CQC (Care Quality Commission). We need a powerful regulator of hospitals in both public and private sectors, and the CQC has failed us in that. But do not tar the NHS with the same brush. Secondly, there are pockets of excellence within the NHS just as there are pockets of abject failure. To use examples of failure as a rod with which to strike all NHS staff demoralises them and fails to recognise their vital role in society. The NHS is the backbone of healthcare in the UK. It is who we turn to when we are really sick. It doesn’t matter how sick you are, the NHS takes you in and does its best to fix you. It also trains all our doctors and nurses. Yes, even those who now work in the private sector. Of course, the NHS is not perfect. But it does its utmost to deliver healthcare as a basic human right. It certainly is not complacent. Is it the worst healthcare system in the world as Charles Moore and Ian Birrill would have us believe? Three years ago patient satisfaction with the NHS was the highest it had ever been. 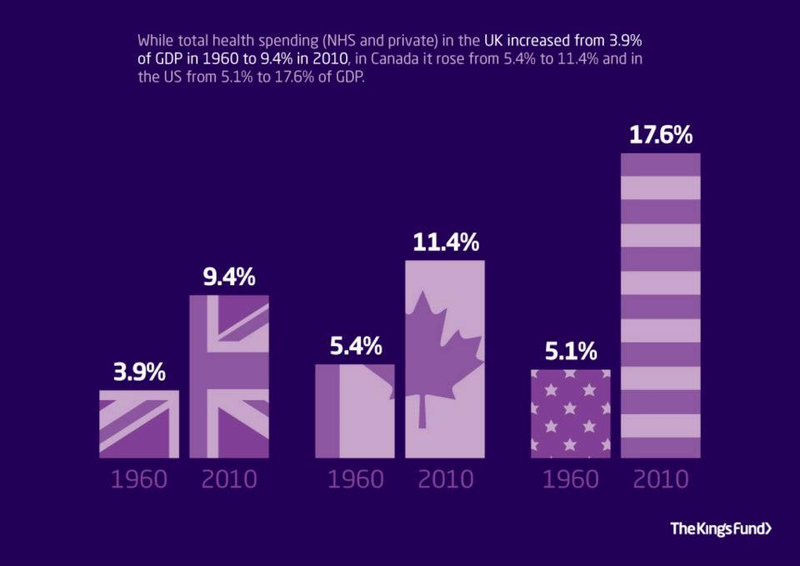 Research clearly demonstrates that the NHS provides the most cost efficient, high quality healthcare when compared to all other healthcare systems in the developed world (3). A report by The Commonwealth Fund (4) puts the UK in the top two for safe care, effective care, efficiency and equity (see chart). We scored poorly on patient centred care (communication, continuity, feedback and patient preferences), and that may have been the price we paid for delivering the most cost-effective universal healthcare system in the world. For most of us in the NHS, this shines a light on where we must focus our efforts next. No complacency there. How do we persuade the media to stop this unjustified attack on the NHS as a whole? What are their motives? Please participate in the Twitter debate using #stopNHSattack. Data transparency, the development of a safe and open culture of data sharing between clinicians and patients, is a noble aspiration. I have no doubt that it will improve the quality of data collection and lead to improvements in clinical care. Tim Kelsey, NHS National Director for Patients and Information, says that data transparency is the future of the people's NHS (1). It is one of the core strategic principles of NHS England. As part of this drive to improve data transparency, outcome data for nine surgical specialities AND interventional cardiology are being published this summer. An important issue that has not been discussed is how this data will be presented and interpreted by the public. Jeremy Hunt says that patients will see which surgeons apparently have the best outcomes (2). Patients will be able to choose the best surgeons. Really? Cardiac surgery is cited as an example of how this model can drive improvement. Cardiac surgeons have published their outcome data since 2004 and mortality rates have apparently dropped to half those in Germany and a fifth of those in Portugal. What is often not discussed is how this may have led to risk avoidance amongst some surgeons. MACCE (major adverse cardiovascular and cerebrovascular events) data for all interventional cardiologists in England will be published shortly. This is not a bad thing. However, we should exercise caution when looking at the data and bear in mind the effect this may have on many cardiologists. BCIS (British Cardiovascular Interventional Society) explicity states that you CANNOT compare the performance of cardiologists on the basis of the data. This is unlikely to be the view of government and the public. For one thing, the data does not discriminate between cardiologists working in high volume heart attack centres and those only doing planned (elective) cases. Cardiologist A in a high volume heart attack centre will have a high volume of complex emergency work (usually 1/3rd of his/her cases) of which a proportion will be of extremely high risk. Patients following cardiac arrest who have been intubated and ventilated (and possibly on a Lucas chest compression device) have a high risk of death even if their angioplasty is successful, but are not considered separately in the data. Cardiologist B may only perform low risk elective cases or avoid taking high risk patients to the operating theatre (known as a catheterisation laboratory or 'cath lab'). While Cardiologist A has an elective mortality of 0%, his/her overall mortality may be 5%. Cardiologist B may have an elective mortality of 1%, and yet appear better overall. Imagine the following clinical scenario (imagined but based on cases we frequently treat). A 50 year old man has a cardiac arrest at home and receives CPR from his wife. An ambulance crew arrives within 5 minutes and shocks him out of ventricular fibrillation. He is intubated on the scene, airlifted to a Heart Attack Centre by an air ambulance where a specialist interventional cardiology team reopens his blocked coronary artery within 15 minutes of him landing on top of the hospital. The interventional cardiologist who takes full responsibility for treating this man considers many factors. One, that he may already be brain dead and that saving his heart may not save his life. Two, although the situation appears futile, there is a real chance that this man’s life may be saved. To adopt a non-interventional treatment strategy is to guarantee death (3). Three, the best chance of saving this man’s life depends on an immediate angioplasty and cooling. This is evidence based. Four, the man’s wife, an ambulance crew and an air ambulance crew have fought hard to this point to save his life. Is it fair that the cardiologist may deny potentially life-saving interventional treatment when the patient arrives at the door of his/her 'cath lab'? Now there is a further consideration, namely the effect that taking on this extremely high risk case may have on the cardiologist's published outcome data. Many of us will swiftly put this consideration to one side and get on with the urgent job in hand. Data transparency and publication of outcomes are here to stay in a patient centred NHS. But as patients use complex data to make comparisons between cardiologists, will some cardiologists begin to avoid high risk emergency work? How do we help patients to navigate the jungle of data they will be faced with? Good clinical practice depends on the following: the individual expertise of the clinician, an understanding of the best available external evidence and informed patient choice. Education of patients is increasingly important so that they can make informed choices about their own treatments. The importance of clinical evidence must be emphasised to patients as well as all clinical staff. Clinical evidence typically comes from clinical trials. A comparison of a new treatment with a control, ie. an existing treatment or placebo (a fake treatment with no plausible biological effect), is known as a controlled trial. 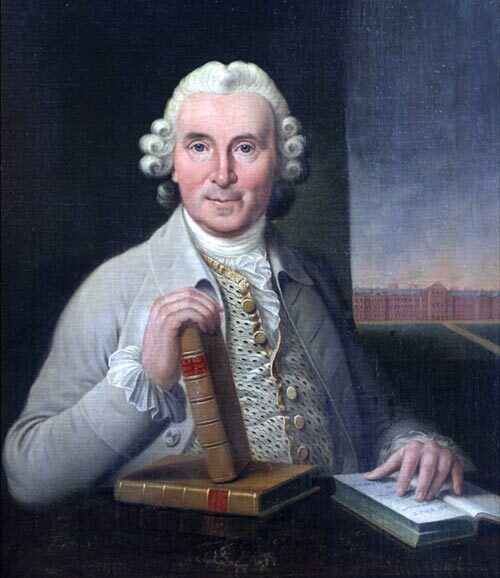 The first documented clinical trial was performed by James Lind (pictured above), a naval surgeon who proved in 1747 that citrus fruits (now known to contain vitamin C) cured scurvy (which at the time killed a huge proportion of sailors). He took 12 sailors with scurvy and divided them into six pairs. Each pair was given a different diet which varied from seawater, a mixture of garlic, mustard and horseradish, and citrus fruits. The sailors given citrus fruits made a striking recovery. Until this point, treatments were largely unproven and often quackery (skullduggery even). An example of this was the popular practise of blood-letting which most famously killed the first US president, George Washington in 1799. Over 5 litres of blood were drained over a day to treat his throat infection, resulting in his death. Now clinical trials often involve hundreds if not thousands of patients. These patients must be randomised, in other words selection of patients for both (or more) treatment arms of the trial must be completely random. This ensures that there is no difference between the treatment group and the control group at the beginning of the trial. For example, randomisation ensures that healthier patients are not selected by chance to receive the new treatment. After receiving informed consent, patients must not know whether they have received the new or control treatment (single blinded trial). Where possible, physicians must also not know which treatment they have given (double blinded trial). The best possible trial therefore is a randomised, controlled, double blinded trial. The best available evidence for a treatment does not end there. One positive trial should stimulate other trials to confirm the evidence. A single positive result can be the result of sheer luck (despite statistical significance). It is important that ALL available evidence is considered by the treating clinician. These are best obtained from rigorous systematic reviews of treatments, such as those provided by the international non-profit Cochrane Collaboration. Negative results MUST also be included in any analysis of the best available evidence. Evidence that a treatment does not work is just as important as evidence that it might. However, it has been estimated that only half of all registered and completed clinical trials are published. Positive trials are twice as likely to be published than negative ones. The reasons for these are complex and being addressed by the AllTrials campaign. One example of this is the failure of the pharmaceutical company Roche to disclose all trial data concerning Tamiflu to the Cochrane Collaboration. The UK government has spent £500 million stockpiling Tamiflu on the basis of data that is not complete. All clinical staff should be trained in interpreting clinical trial data and placing this in the context of best available clinical evidence. As patients play a more central role in their treatment, we should also make a bigger effort to educate them on how to interpret the evidence about their own treatment.